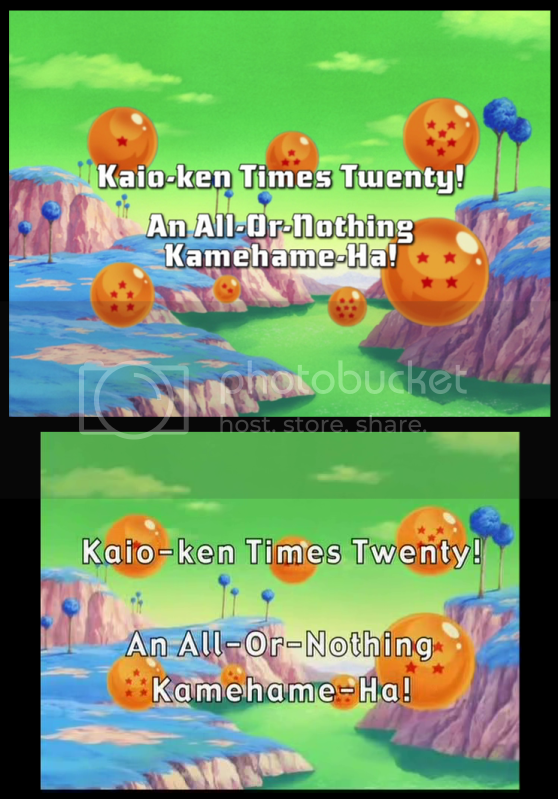 Episode 45: Kaio-Ken Times Twenty! 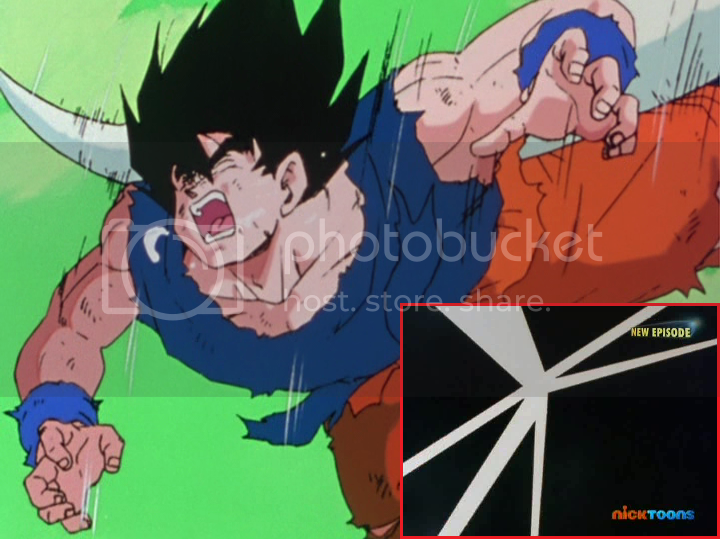 An All-Or-Nothing Kamehame-Ha! 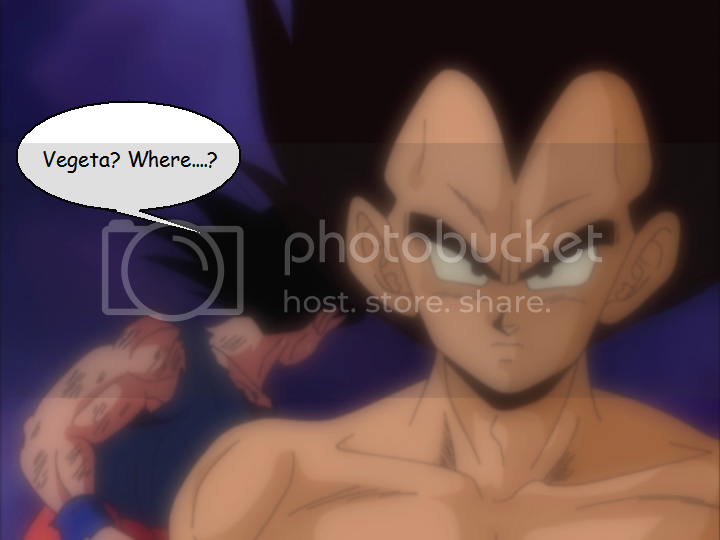 | Welcome to "The Weasel's Last Fart!" 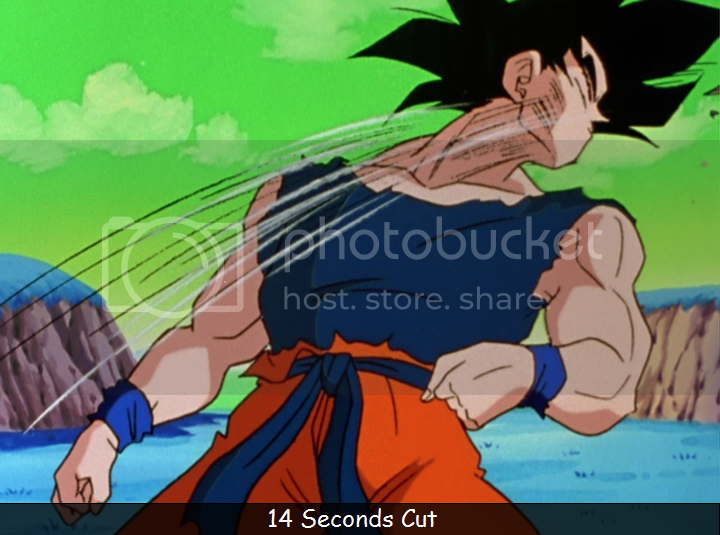 ← Episode 44: A Boundary-Pushing Brawl! 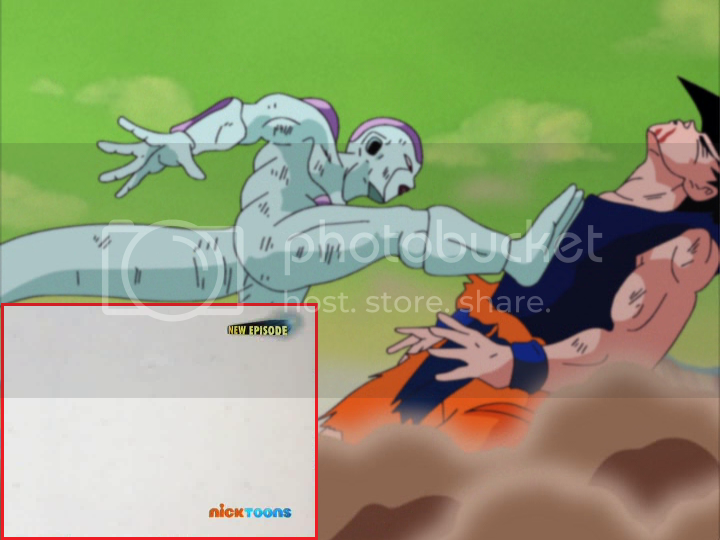 Goku, Frieza, and Ginyu Again?! 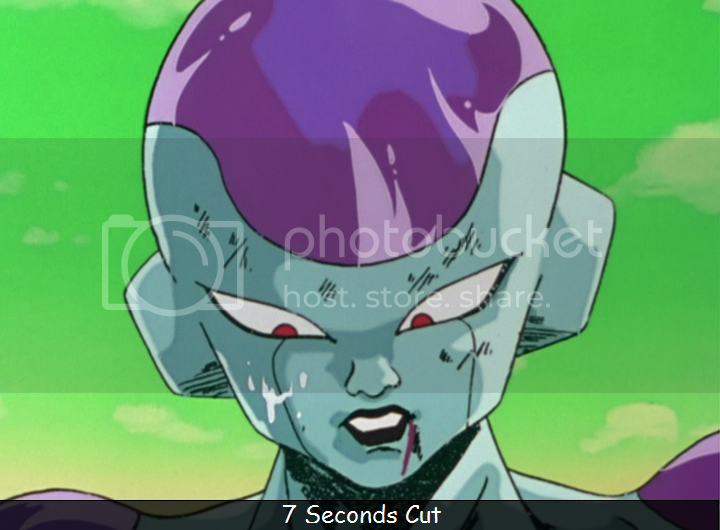 Freeza flings him aimlessly and this is where the TV version picks up again. 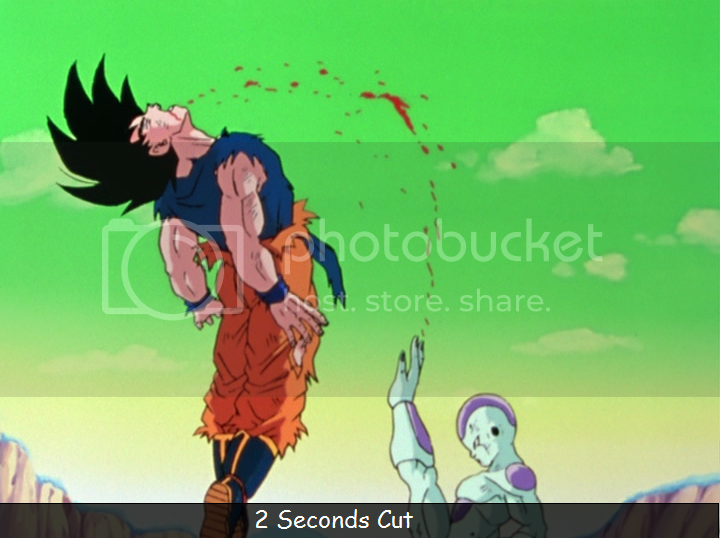 In the TV version it looks like Freeza kicked Goku up into the air and then quickly attacked him (which is what he does after the tail grab). 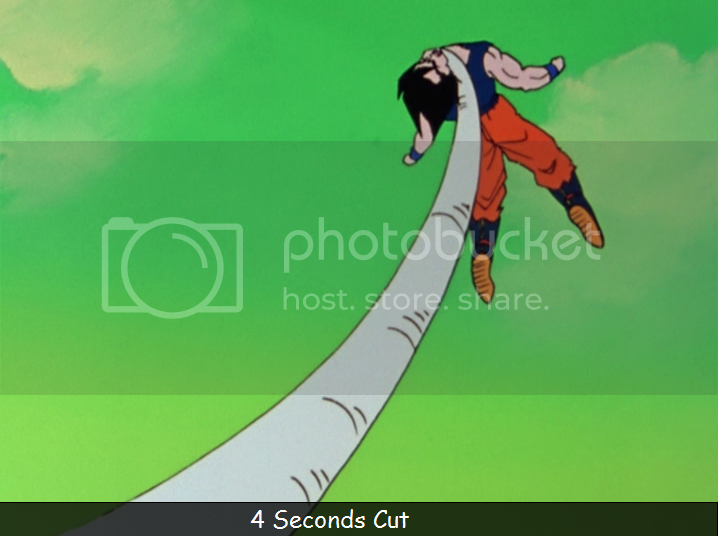 When Goku descends he falls into the sea. 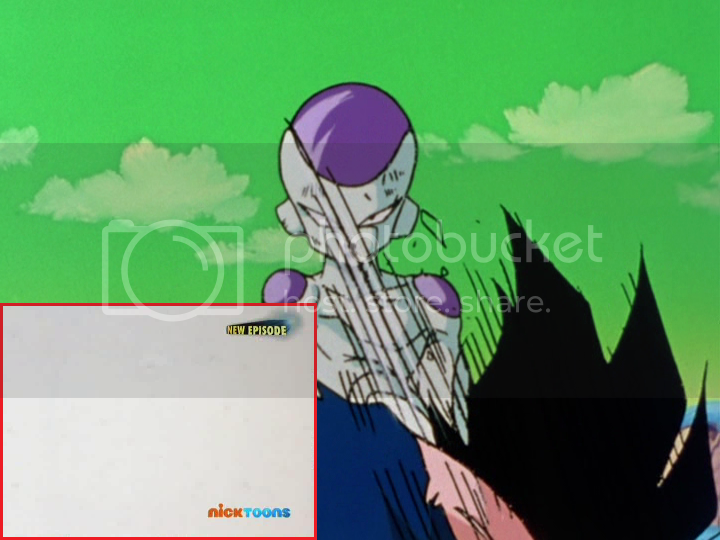 When he tries to get out, Freeza holds his head underwater. 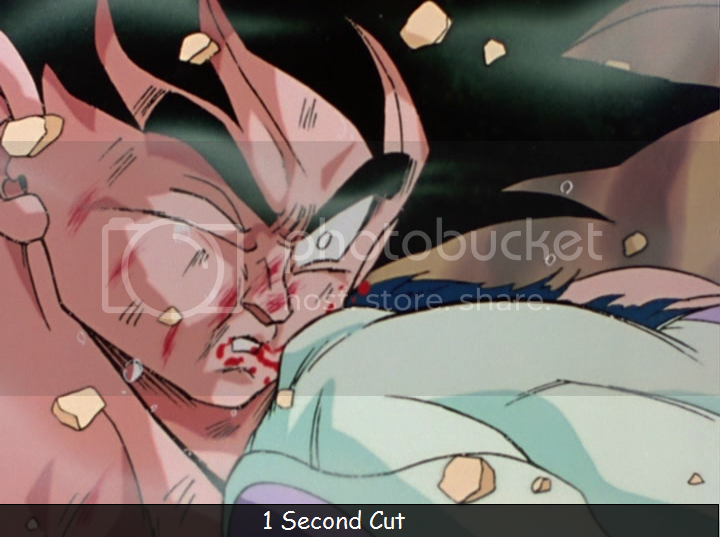 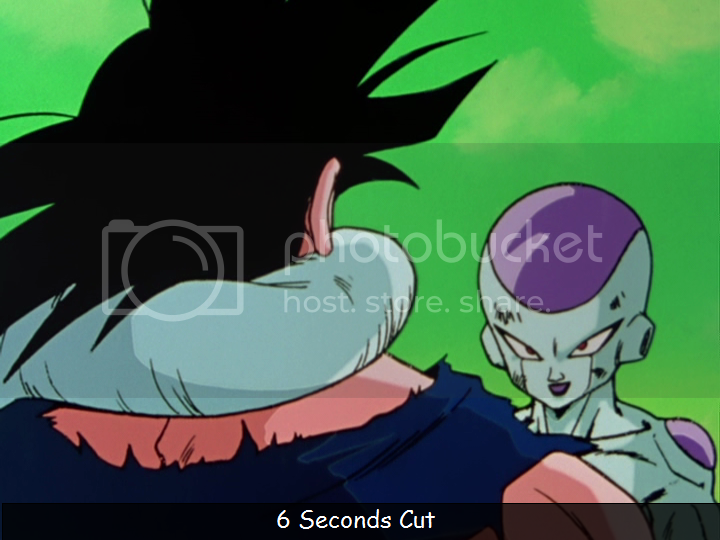 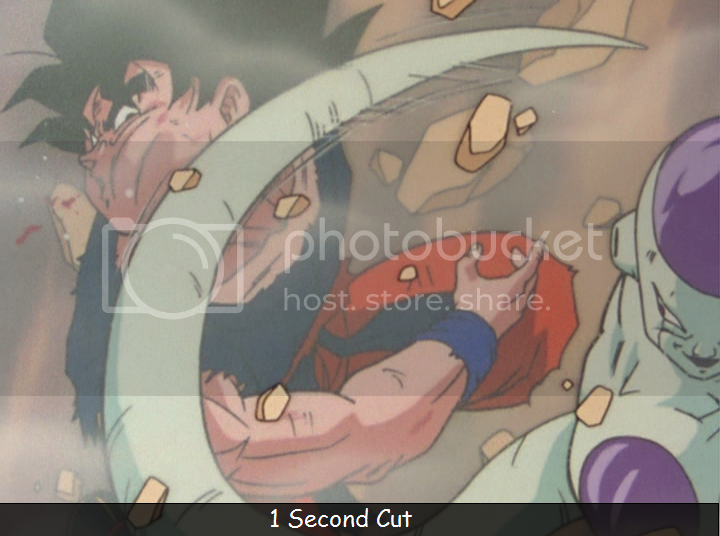 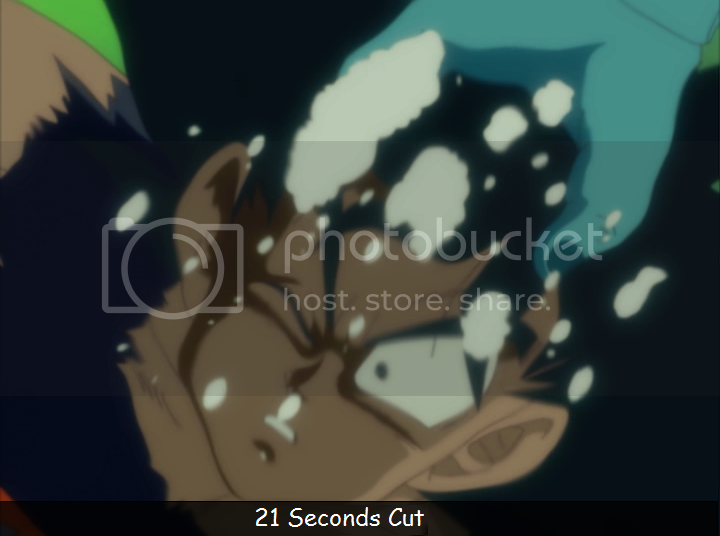 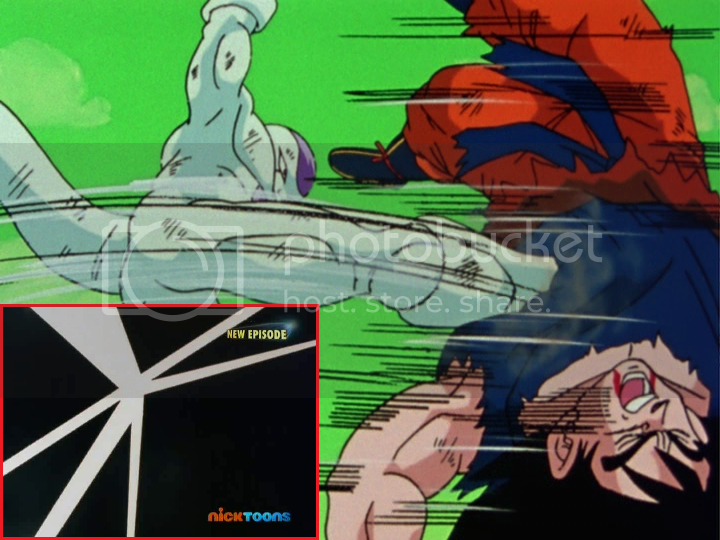 The scene of Freeza grabbing Goku’s head and Goku struggling and eventually passing out are edited out. 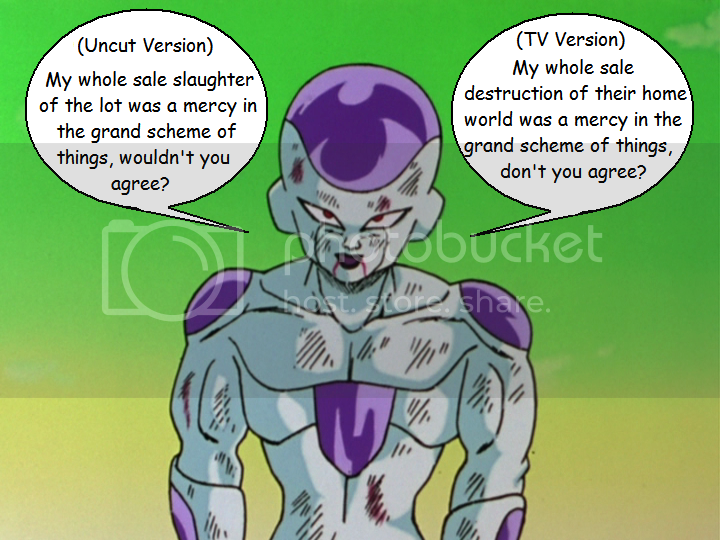 After having a horrifying dream, that surprisingly wasn’t edited. 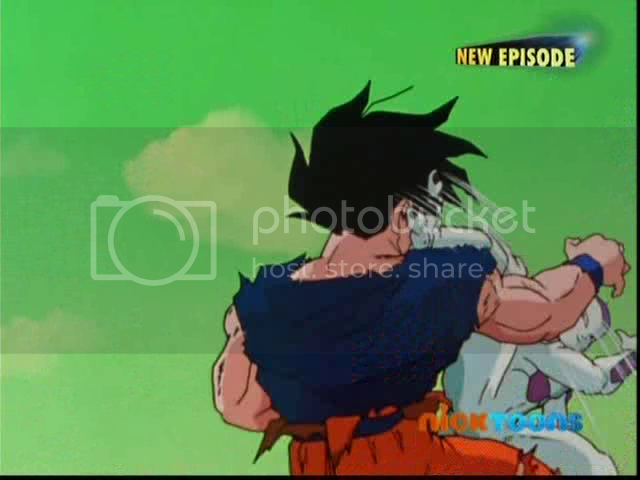 Goku get’s a sudden burst of energy, charges up and shoots a Kamehame-Ha at Freeza. 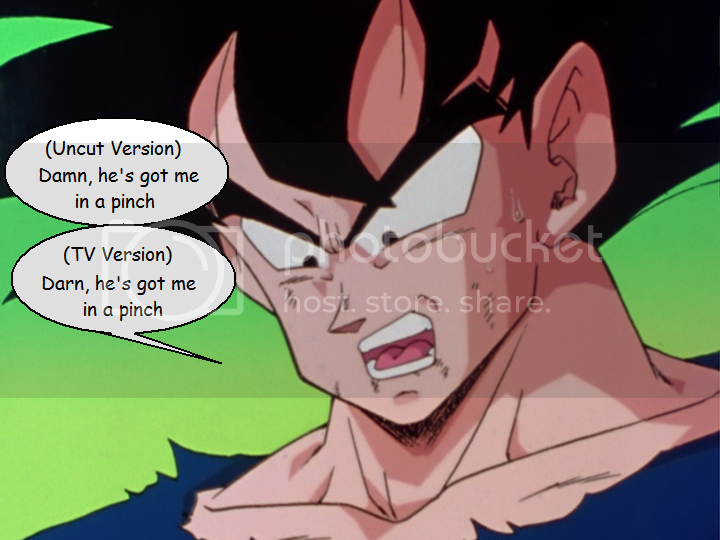 It does nothing. 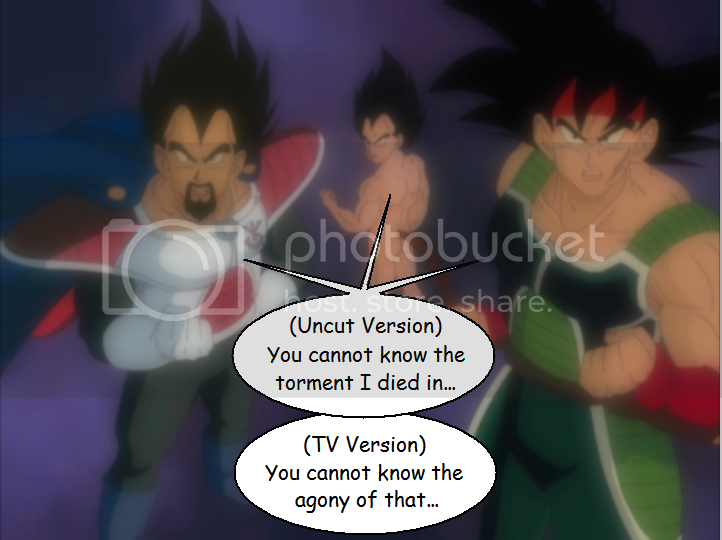 In the uncut version, kid Vegeta continues on and says “Everything we were survives now only in you”, but in the TV version it’s actually adult Vegeta that says this line. 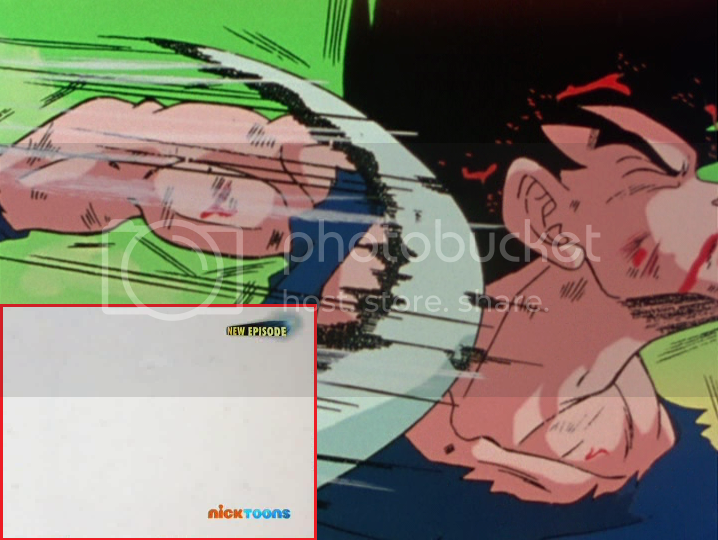 Goku snaps out of this vision with a newly found respect for his race. 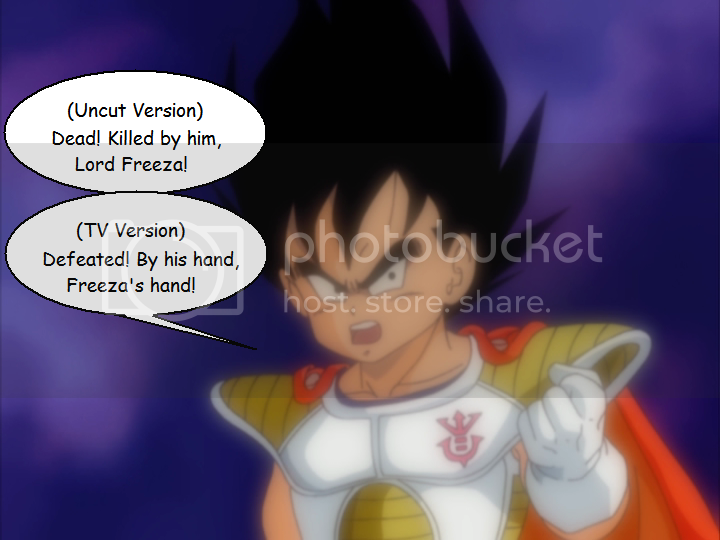 He now knows he must defeat Freeza for him, his father and all the Saiyans killed by Freeza. 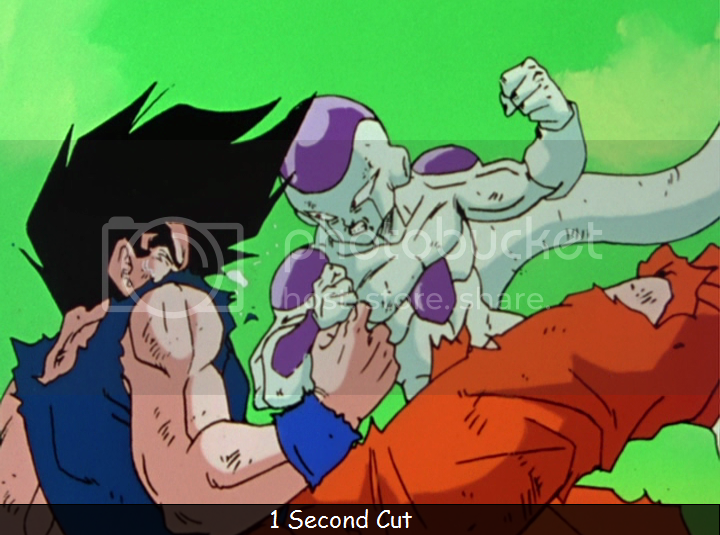 Freeza then rushes Goku and the episode ends abruptly with no narrator dialogue.